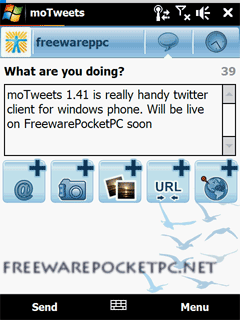 moTweets v1.85 freeware for Windows Mobile Phone. 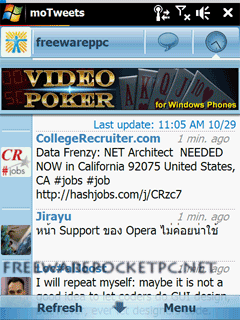 Summary: Experience Twitter from your Windows Mobile device! It works 100% accurate.thnks developer. Was working fine, but now just shows an error anytime I try and use! Htc hd2 is my phone. When Peep had its problem with Twitter I was forced to try out different apps. The app I thought I wouldn't care much for I actually LOVED. It's the BEST! new version 2.0 on the wild..
best twitter app ever!!! 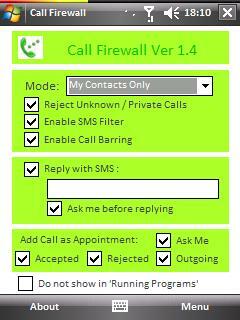 just download itt youll see! This twitter app is sick (good), must have if you own a pocket pc and are a twitter whore. Two thumbs! 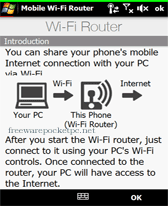 There's a new update to versi�n 1.90. Do not update! It crashes, the application closes, and even after updating a message saying that there's a new version is still appearing, so don't recognize new version. Better 1.85, there's no problem. Don't download version 1.9. It is continue crashing on my mobile. But 1.8.5 works good.